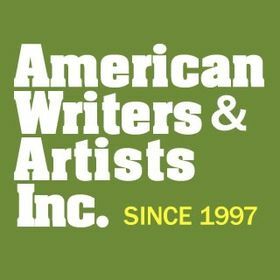 American Writers & Artists is looking for a Digital Marketing Specialist. If you meet the requirements below, you will be eligible to apply via Digital Marketing Community. Manage and create the acquisition e-mail marketing calendar with a focus on re-engaging and converting leads to buyers through one of our acquisition programs. Manage a digital marketing budget and work to optimize the ROI. Cooperate with creative teams to create marketing materials for (ads, emails, landing pages and reports). Manage and take control of all paid traffic campaigns. Measure and report on KPIs and metrics and work with marketing team to determine actionable insights and scalable strategies to increase paid search results. Keep up with digital marketing trends and platforms to drive new business opportunities. Identify new customer targets to advertise to. Proficient experience in building lead-generation tactics and building different types of automated funnels including (indoctrination, engagement and buyer funnels). Extensive working knowledge of various marketing channels including (display, search, retargeting and video) on (Google AdWords, Facebook and Instagram). Effective experience in using various data analysis and reporting tools. Expert understanding of testing landing pages, ad copy, subject lines and offers to optimize campaign results. Deep working experience in using (MS Excel). Ability to make effective autonomous decisions in a timely manner. American Writers and Artists Inc. (AWAI) is the publisher of the world's best home-study programs for learning the art and science of direct-response copywriting, B2B copywriting, web copywriting and more. American Writers and Artists Inc. (AWAI) is the publisher of the world’s best home-study programs for learning the art and science of direct-response copywriting, B2B copywriting, web copywriting and more.